The weather here in New York has finally started to warm up, and signs of spring are everywhere. Longer days, tulips starting to bloom in my yard, and temperatures reaching almost 60 with bright sunlight punctuating our excitement about the beautiful upcoming season. 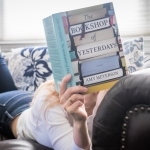 It’s time to break out the spring clothes, and pick up some new pieces in the spirit of “all things new again”. I typically wear a lot of dark all year long (something about being a New Yorker, lol, it’s something in the water) but pictures of me over the years wearing the same dark uniform led me to realize it’s time to change things up this year, so I plan to add some more * l i g h t * to my wardrobe. I was perusing Walmart’s We Dress America spring line on their site, and fell in love with a few items that are so pretty and fresh and feminine… perfect for spring time! They remind me of how I used to dress before I started to resort to all black and dark colors and simply loved looking pretty and trendy as I went about my day. 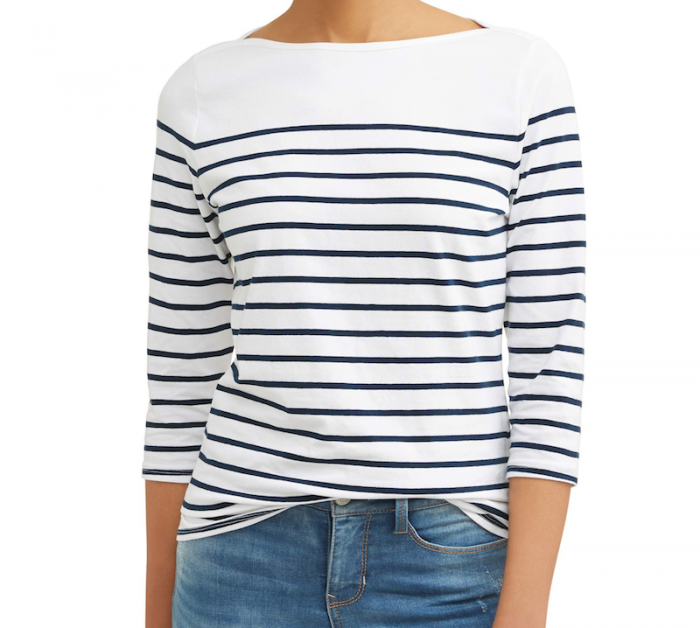 I love this striped, boat neck top from Time and Tru with 3/4 sleeves. It’s floaty and flattering and very stylish, something that would go with a pencil skirt, jeans, a blazer… it’s so versatile! I also love these shoes so much. They are wedge-heeled mules that are pure fun! 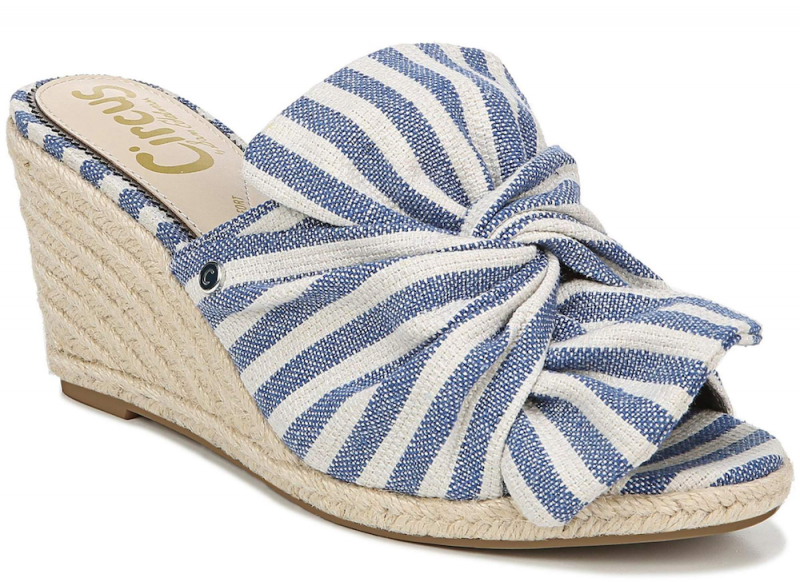 The big bow is so charming, the heel is so so flattering, and the materials evoke spring. Fashion should be exciting and fun, and not always practical and utilitarian. I love how cute and attention-getting these are! 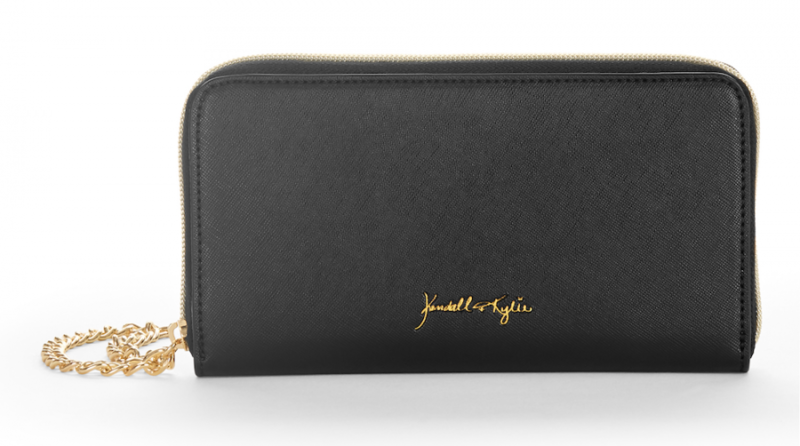 And I love this wallet by Kendall + Kylie for Walmart. It’s definitely something I can wear all year long, but more importantly, it lets me carry what I need without feeling weight down with my typical oversized shoulder bags that store everything in the world. 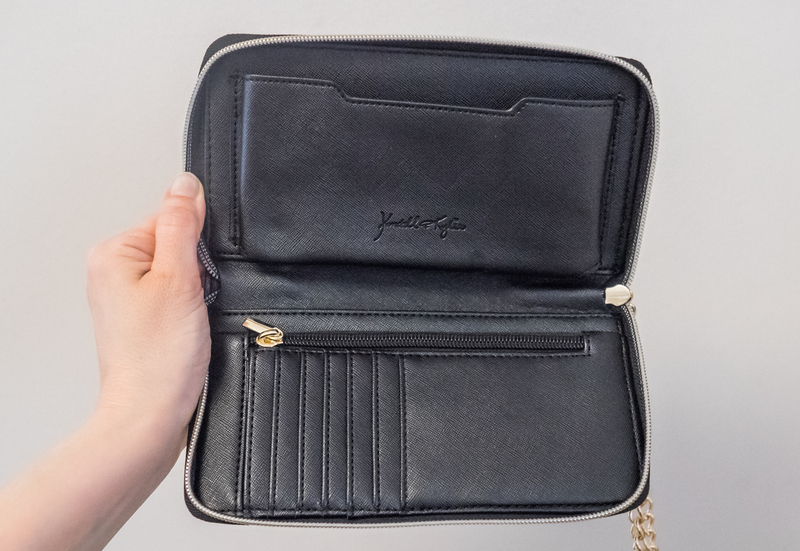 It’s springtime, I want to feel as free as I look, and this little wonder wallet holds everything I need without weighing me down or hurting my shoulders. I can fit my cards and cash, my phone, and a lipstick too. Perfect! These looks came from Walmart’s new assortment of spring apparel and fashion! Walmart has an awesome policy of free 2-day shipping and returns for most purchases over $35, so I should have it all soon to show you how I’m wearing them. Walmart just launched their spring campaign, We Dress America, with hundreds of hot styles and options to let you show your own unique sparkle. No matter where you live, your style has a home at Walmart. We Dress America is a ground-breaking new fashion campaign that celebrates fashion for all of us, and stands for style that’s original and doesn’t discriminate, at prices all of us can feel good about!